Banned Books Week, our annual celebration of our right to read, think and speak as we wish, has been around since 1982. Every September, we put up displays of books that have been banned or challenged, and remind our patrons that they have the Constitutionally guaranteed right to read them. It’s a great idea, and a noble effort. But is it enough? Let’s take a moment to think about what access to ideas and information means in the age of advanced technology, social media and rampant misinformation. 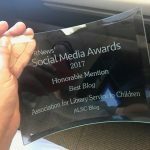 Librarians flocked to Seattle late last month, and there was plenty to talk about for those interested in intellectual freedom for children. Here are some of the highlights from meetings of the ALSC Intellectual Freedom Committee, ALA Intellectual Freedom Committee, and the Freedom to Read Foundation. Once while I was working the reference desk, a young woman around 12 years old or so approached me and asked if the library had any books on sperm. Does anyone remember the Spaghetti Harvest? Or the Pacific Northwest Tree Octopus? These were early (and wacky) examples of media hoaxes. They became staples of information literacy instruction for many educators, because they illustrated how convincing even the most bizarre information can seem when it’s presented as fact. Today these scams seem benign and quaint. Banned Books Week once again approaches, scheduled this year for September 23-29. Have you put some thought into how you want the library to advertise and promote it?